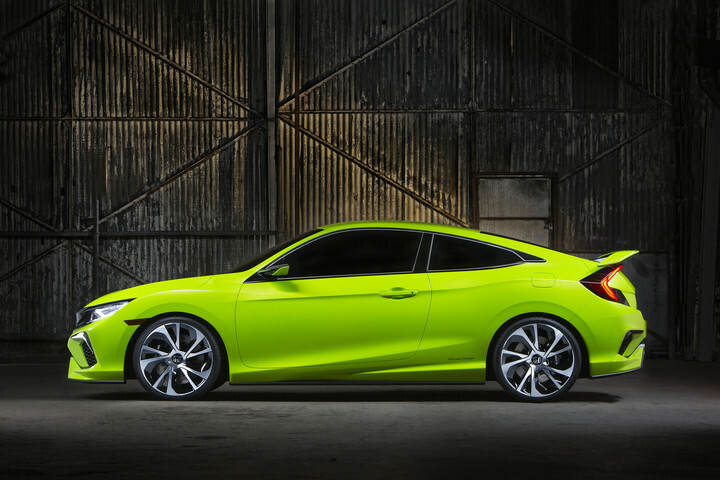 At this year’s New York International Auto Show, Honda unveiled a new concept model of the 2016 Honda Civic Coupe. The model lacked an engine and an interior, but the redesigned exterior got Honda enthusiasts very excited about what was to come for the 10th generation Civic. Over the weekend the design patent drawings were revealed giving even more insight into the 2016 Honda Civic. Here’s what we know so far about Honda’s new ultra-sporty Civic. The 2016 Honda Civic will come in both the traditional coupe and sedan form, but the 2016 version will also be available in an all-new 5-door hatchback which has never been offered in North America before. No matter which model you choose, you’ll get a stylish and sleek body that you’ve never seen on a Civic until now. For those that look for performance in their vehicle, the 2016 Honda Civic will come in both SI and Type-R versions. Type-R has never been available to North American markets until now. The 2016 Civic will be the first Honda to apply VTEC Turbo engines in North America. Under the hood will be a 1.5-liter VTEC Turbo engine with direct injection. This engine is powerful, but efficient and with lower emissions. Available on other models will be a larger 2.0-liter VTEC Turbo engine. Today’s vehicles don’t just protect you in the event of an accident, they actually work to prevent accidents from occurring. The 2016 Civic will house many driver-assistive technologies, including Lane Departure Warning, Forward Collision Warning, Multi-Angle Rear View Camera, Honda LaneWatch and more! The 2016 Honda Civic was designed right here in Los Angeles, California and developed in Raymond, Ohio. Many of the engines and models will be produced on American soil as well. Everyone here at Airport Marina Honda is more than excited for its arrival. 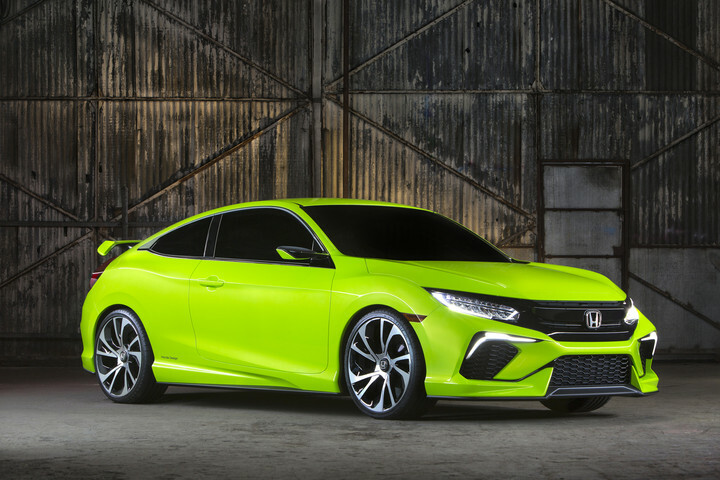 Unfortunately, we’ll have to wait a little longer since the 2016 Honda Civic Coupe isn’t expected to start launching until fall, followed by the Sedan. The SI and Type-R will come later, and the Hatchback will be the last model available. So make sure you check back for more info on the 2016 Honda Civic, and don’t forget to browse our inventory of all-new Hondas available now! 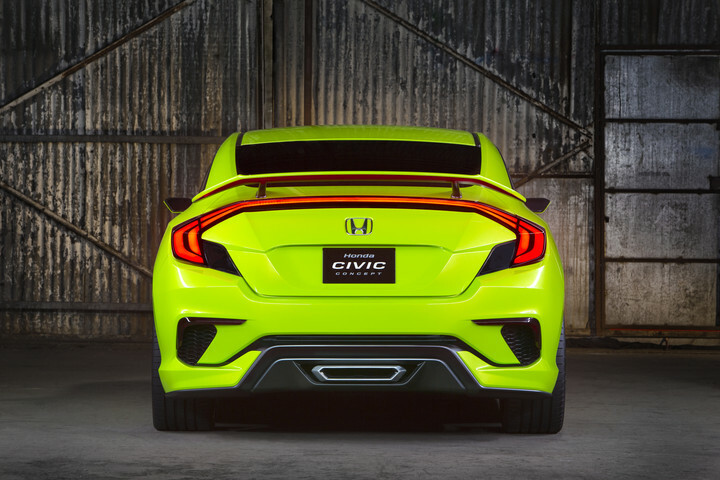 Read more about the 2016 Honda Civic Concept here.